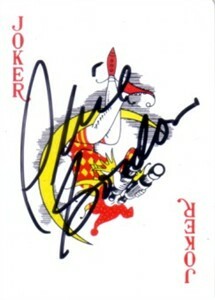 Joker card autographed by professional poker player Phil Gordon. ONLY ONE AVAILABLE FOR SALE. Obtained in person at celebrity golf tournament. With certificate of authenticity from AutographsForSale.com.